With a variety of options available for an alternative to transportation fuels, Vital summarizes the good, the bad and the ugly of each choice. 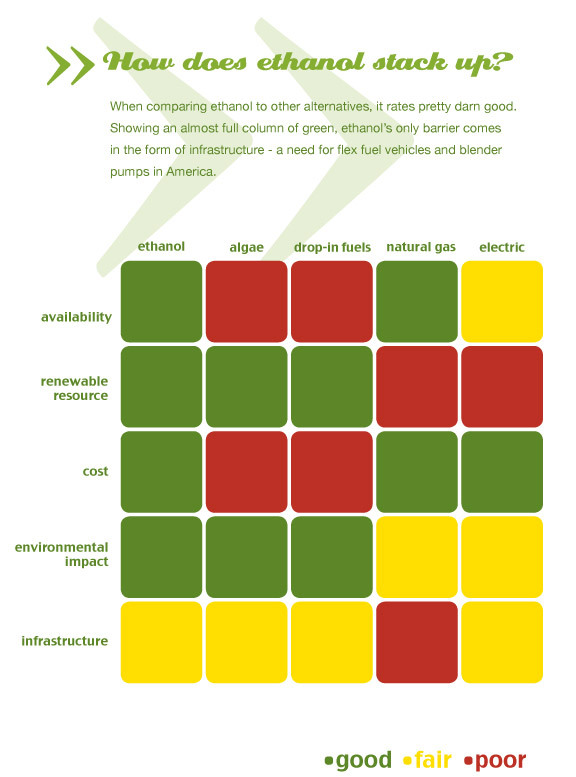 Over the past year, Vital has analyzed the more popular alternatives of transportation energy sources. Everything from electric cars to algae to natural gas was put under the microscope in terms of financial stability, existing infrastructure, safety and ability to progress to commercial scale. In the U.S., petroleum is king. The need to develop a broader energy portfolio relying more on clean, renewable, domestic fuels is vital. However, this very real and urgent need has given rise in recent years to an onslaught of contenders for the crown, resulting in a confused consumer base. Are these fuels cost-effective and viable replacements for petroleum-based energy? Or are they merely flavors of the day among a myriad of choices, most harboring too many financial roadblocks to ever serve as everyday alternatives to fossil fuels? Think algae and most people conjure up images of tangled seaweed or pond scum. But it is actually microalgae – the tinier version of this ancient plant, rather than the seaweed variety – that is garnering the biggest buzz from the biofuels industry. Why? Primarily because strains of microalgae can contain up to 40 percent energy-producing oil, along with a variety of carbohydrates and proteins. While that sounds promising and has sparked considerable interest in the use of algae as a biofuel, particularly as biodiesel, it doesn’t position algae as the dominant player to replace fossil fuels used for transportation. Energy from algae can be difficult and costly to harness. Producing microalgae on a large enough scale for commercial production as a fossil fuel replacement can be a complex and costly endeavor, though some companies are beginning to do so. There is the high cost of energy needed to circulate gases and deliver what’s necessary to the photo bioreactor or other growing vessel, as well as the expense of additional energy needed later in the process to dry the product. With costs still hovering around the $30-per-gallon range in many cases, the algae production process must undergo further evolution before it can compete – and succeed – on a barrel-to-barrel comparison with petroleum, particularly when it needs to do so on a cost-of-production basis. Also in question is the management of algae strains. Wild algae are fast-growing but contain less oil than genetically modified algae which grows more slowly. Genetically modifying algae to increase oil content also attracts controversy from those who are against genetic modification, for any purpose. A company’s ability to realize additional benefits from multiple products in the algae fermentation process can boost return on investment and make algae more attractive to investors. Some companies are looking into making algae-derived biofuels as well as a host of value-added animal feed products, diversifying their channels for return on investment. But some biofuels experts still worry about the development of algae because, as with many other alternative energies, it has failed to keep pace – primarily due to lack of public investment. That leaves private companies to do their own research and development. Such a process tends to reduce advancements in the broader realm and slow development progress as a whole. The capability to use existing infrastructure is the claim of superiority for so-called “drop-in” fuels that are developed to make use of the existing petroleum-based transport system. But what classifies as a “drop-in” fuel? While definitions sometimes vary, drop-in fuels are best defined as biofuels that can be blended with gasoline and used in the current gasoline infrastructure of pipelines, pumps and other existing equipment. However, a drop-in fuel still requires that gasoline blenders use unique gasoline stocks as the base component when a drop-in fuel is added. Algae-based fuels dominate the drop-in biofuel landscape, but they aren’t the only fuels falling into this category. Bio-based isobutanol also fits the description. Currently, chemical manufacturer and advanced biofuels company Gevo in Englewood, Colo., has begun a retrofit of its ethanol facility in Luverne, Minn., due for completion next summer. The retrofit will be the world’s first commercial-scale bio-based isobutanol plant. Another fuel fitting into the “drop-in” is n-butyl alcohol, one of the four butyl alcohol types and closely related to isobutanol. This is DuPont’s initial focus. Later, they plan to move to other types of biobutanols, such as isobutanol. And later, they plant to add biofuels derived from additional feed stocks, including cellulosic and eventually even macroalgae. DuPont asserts that its n-butyl alcohol biofuel will be compatible with current vehicle and engine technologies, and potentially suitable for transport in existing pipelines. But is “potentially suitable” good enough? Isobutanol’s appeal as an alternative fuel may be in the expectation that it will make use of existing infrastructure, but it has yet to be used as a commercial fuel on a widespread basis so research remains sketchy regarding its impact on either the distribution infrastructure or even vehicle engines. There are also potential safety threats. Isobutanol vapors can travel long distances and collect in low-lying areas where they can become an explosion hazard. On first look, the concept of a drop-in fuel makes this category of alternative fuels seem like the most immediate answer to reducing reliance on fossil fuels. In the end, their development and adoption will come down to ease of availability and of course, cost, just as with any energy source. But unlike the use of established alternative fuels, such as ethanol, many of the drop-in fuels currently under development have unproven track records for detrimental impact on the very infrastructure they are supposed to utilize. In addition, they can often present a greater safety hazard than renewable fuels currently in use. Natural gas is experiencing a new surge in popularity as a transportation energy source, so much so that it’s even being touted by some as a new alternative fuel to its petroleum-based counterparts. According to the U.S. Energy Information Administration, natural gas already accounts for 24 percent of the total energy consumed in the U.S. today. So unlike alternative fuels still under development, natural gas is already an integral component of the nation’s energy supply. But like other fossil fuels, natural gas is not a renewable energy source. Some biofuel industry experts are beginning to raise concerns that labeling natural gas as an alternative fuel may be drawing attention away from further research and development of true renewable energy sources that could be targeted at transportation needs. There is also debate as to how best to use this non-renewable resource. With only limited supplies, that debate becomes an “either-or” proposition. Some proponents see natural gas as the answer to transportation fuel needs. Others believe natural gas will do more good as a replacement for coal in the generation of electricity. It’s easy to understand natural gas’ appeal. It burns cleaner and emits lower levels of greenhouse gases than other fossil fuels. This may account for why it is so often held up alongside true renewable fuels as an alternative fuel choice. It is already commonly used as a transportation fuel in other parts of the world, while in the U.S. its use is primarily in fleet vehicles. With only an estimated 100 year supply of natural gas – and much of that only theoretically attainable – extraction of existing supplies is taking an aggressive turn. Hydraulic fracturing or more commonly known as just fracking is the most popular technology used to remove natural gas from layers of shale rock. Water, sand and chemicals are forced at high pressure into cracks in the shale, causing larger fractures to open up and allowing access to natural gas deposits. Fracking requires millions of gallons of water, whereas traditional methods require only thousands. Treatment and disposal of that water is not only a significant cost factor, but a key regulatory issue as well. In addition, fracking has been associated with other detrimental impacts on the environment. The natural gas industry is likely to address the issue with technological advances designed to optimize water use and safeguard its disposal. Consisting primarily of methane, natural gas could be produced from completely renewable sources, such as biomass, converting what was once a non-renewable fossil fuel into a renewable alternative one. However, as with other emerging alternative energies, research and development necessary would be timely and costly. If the goals of developing alternative fuels are to reduce reliance on nonrenewable sources and lessen environmental impacts, then natural gas doesn’t seem to fit the equation. Alternative energies come in all forms. Proponents of the electric car believe they have plugged into the cleanest available alternative energy source out there. In addition, champions of plug-in vehicles will tell you that pollutants generated from coal-fired electric plants are still lower than the levels emitted from the tailpipe of a conventional car. Although criticized early on for lack of drive range between chargings, electric cars today have improved technologically to help address that concern. In addition, hybrid cars – which have grown in popularity over all-electric vehicles – feature both an electric motor and an internal combustion engine, the latter being used primarily to recharge the battery so that it never requires plugging in. A third type of electric car, “plug-in” hybrids, adds the ability to recharge at home, typically overnight. Addressing concerns over range, these cars let the electric motor do most of the work, but also provide the security blanket of a gas engine. Electric cars are not a new technology, some dating back 115 years. But it was the recent concern over greenhouse gases and technological breakthroughs of the modern electric car that caught the attention of major automakers and consumers. However, infrastructure to support the growing number of plug-in electric cars on the road is still lacking and could take massive investment before deemed practical. Research has shown that consumers are not too keen on additional cost outlay on home charging stations, particularly since electric cars already carry a premium purchase price. Recharging at gas stations raises regulatory issues since electric utilities are currently the only entities allowed to charge for electricity. Lithium-ion batteries are now widely utilized in electric cars because they are more compact yet powerful, but these advanced batteries also carry greater potential for explosion compared to conventional batteries. And that’s not the only safety concern. Not all rescue workers have received the specialized training necessary for responding to serious accidents involving electric and hybrid cars and the high voltage batteries they contain. Today’s electric cars carry a number of safety disconnects built-in, so the greater safety fear isn’t in the car itself so much as rescue workers hesitating unnecessarily or being unfamiliar with real versus perceived dangers. In addition, the rare and exotic materials required by these batteries – sourced primarily from other areas of the globe – could become as problematic to the U.S. as dependency on foreign oil. Electric cars make consumers more dependent on grid-source electricity as well as large-scale infrastructure. Many industry experts believe that after a 20 percent market penetration point, additional power plants and distribution systems will be necessary, a process that needs governmental approval and can take up to 10 years. Available liquid alternative fuels such as ethanol eliminate concerns over range as well as safety. 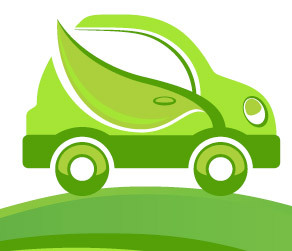 In addition, use of ethanol near its point of production reduces energy wasted in transporting the fuel to the consumer. While electric car proponents believe coal-fired electricity emits less smog than vehicle tailpipes, there are just as many industry experts who believe that is not the case, particularly in vehicles manufactured in the last three years. Growing concern over greenhouse gas emissions and dependency on foreign oil has ignited interest in new – and newly repurposed – alternative energies. However, unlike ethanol and other developed renewable fuels, many of these emerging energy sources require sizable investment in research and technology, and costly changes or construction of necessary infrastructure. None offer a quick fix to the nation’s energy needs. In addition, many of these alternative fuels address one set of environmental concerns only to bring a new one to the table. Several rely on fossil fuels at some stage of production and at least one, natural gas, isn’t widely available in renewable form. By contrast, ethanol is readily available and the biofuels industry continues to invest in development of environmental safeguards and advancements in research and technology that can lead to the next generation of ethanol and related alternative fuels.